I awoke this morning to the icy rain and cool 20-something degrees-temperature of New York City. It’s Christmas Day. My third in the Big Apple. Well, that’s not exactly true. While I might have started today in New York, I’m now miles away from there; the place I’ve called home for the past seven years. It’s 10 a.m. now and as I write, I’m soaring about 35 thousand feet in the air, gliding through fluffy white clouds and over boundless waters. By the time this piece is posted, I would have arrived at one of the most beautiful places on earth. I’m hopeful that touchdown will reunite me with familiar faces I’ve missed, voices that sound like music to my ear, hugs that each feel like a haven, laughter that warms my heart, conversations that stimulate my mind and love that nourishes my soul. Christmas is my favorite time of year and just like many who celebrate this occasion, there’s no one I’d rather spend it with than those people dearest to me. For some of you, this is a sad season as you may be alone or missing loved ones passed. At this time, I especially remember the victims of Sandy Hook Elementary School in Connecticut and their relatives. My prayers go out to everyone of you whose heart is heavy today. May God grant you comfort and a peace that passeth all understanding. Those of you blessed to have or be in the midst of all your loved ones, give thanks. As you celebrate this Christmas, I hope that you in some way reach out to those less fortunate. Give a gift, a meal, a kind word, a smile, your time. Christian tradition recognizes this time as the celebration of the birth of Jesus. While many scholars, historians and more have argued that Jesus was not born at this time, that Christmas originated as a pagan holiday that worshipped the sun (Masses of the Light), the important thing as a believer/Christian is to acknowledge the birth of Jesus. 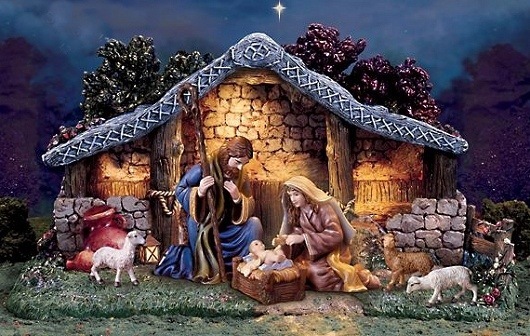 It matters not whether he was born in the winter, spring, summer or fall, it matters that he was born and according to the Christian faith, He brought salvation to mankind.